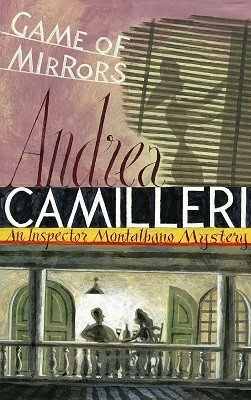 Game of Mirrors is the eighteenth exciting instalment in the Inspector Montalbano mysteries by Andrea Camilleri. Meanwhile the inspector finds himself drawn into another mystery when a bomb explodes outside an empty warehouse in Vigata. But who was the bomb intended for? And why was it left in such a peculiar place? As Montalbano and his colleagues investigate the street's residents - some of whom have suspicious mafia links - they begin to receive a barrage of false clues from an anonymous source. As Liliana's behaviour becomes increasingly erratic and leaks around the case threaten Montalbano's reputation; the sense of danger grows. The inspector soon realizes that, with this investigation, he is being led into a hall of mirrors, where there is danger at every turn and nothing is quite clear . . .
Game of Mirrors is followed by the nineteenth Inspector Montalbano novel, Blade of Light.